The Arizona Community of Civano, located in the southeast part of Tucson, AZ is according to its planners, "an antidote to urban sprawl's five banes: loss of community, loss of open space, traffic congestion, air pollution, and poor use of resources." Civano is an Arizona community "with choices about how you want to live." Civano Community's planning integrates Arizona residential home communities with shopping, workplace, school, and civic facilities essential to the daily life of the residents, as well as parks and natural open spaces vital for relaxation, enjoyment, and preservation of the area's natural Arizona landscape and heritage. Passive and active solar principles, sustainable Arizona building materials, and water conservation technologies are key elements across Civano. Every Civano neighborhood will have gathering places such as coffee shops and small commercial enterprises. Most of these are within walking distance of each other, conserving resources and minimizing waste. Civano is an Arizona neighborhood in southeast Tucson, Arizona, bounded by Irvington Road on the north, Pantano Wash on the east, Bilby Road on the south, and Harrison Road & Davis-Monthan Air Force Base on the west. • Create a sense of place that fosters Arizona community and connects people to one another and their natural environments. • Tread lighter on the Arizona land through innovative design. • Introduce sustainable Arizona construction materials and new technologies to advance the quality of life. A wide range of energy-efficient Arizona homes featuring the latest technoly, designed to use 50% less energy for heating and cooling than a typical home of the same size. Quality craftsmanship, great floor plans, uniquely styled homes, reflecting the natural colors of the Arizona desert and the rich history and environment of Arizona are sure to delight you. New Civano Community Arizona home prices range from the mid $200,000's to the $400,000's and amenities like high ceilings, lush landscaping, private patios, and gourmet kitchens justify the price. Pamper yourself in the comfort of a Civano Arizona home, watching glorious sunsets in the quiet of the evening and amazing early morning colorful sunrises. The tools to begin your new Civano Community Arizona homes search are right at your fingertips! To get started, simply click on the link above or browse Arizona new construction homes and houses for sale using the links to the right. 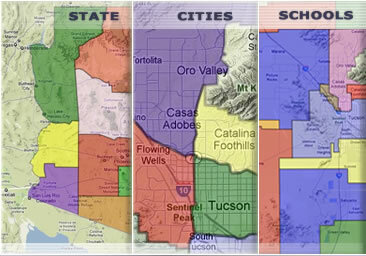 Find a new Civano Community home for sale or locate a home builder in Arizona on MyOwnArizona.com. 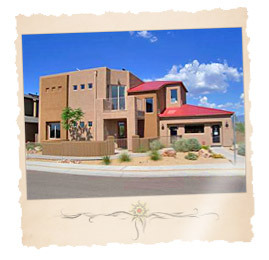 Our MyOwnArizona™ Civano Community real estate guide showcases new construction homes, townhomes, condos and new Arizona communities by new home builders throughout the State of Arizona. Find new homes by map, desired home price or by browsing new developments and floor plans by lifestyle or Arizona home type. All home listings include Arizona home price, location and money saving incentive offers to make buying a new Civano Community home more affordable. All houses for sale listed include floor plans, pictures and many offer tours of the new homes and communities. 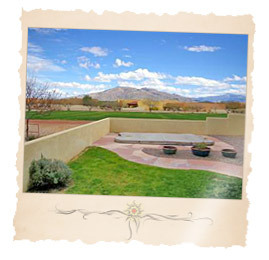 Contact us at: info@MyOwnArizona.com for Arizona & Civano Community in Tucson, AZ real estate.